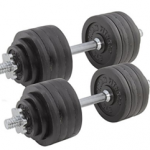 Nowadays, buying up traditional dumbbells isn’t really a good option because it requires more space and money. Following the new invention in gym equipment, adjustable dumbbells are best If you have limited and premium space and money. 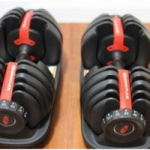 I really wanted the traditional style dumbbells, because I had a doubt in my mind that adjustable dumbbells are quite expensive and you can’t end up too much close with these. Also, I was fond of doing regular gym mishandling like in arm curls and wanted to be able to do more like man makers, dumbbell snatches which somehow gives me a feeling of performing workout of a men. 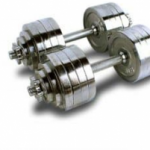 Then after sitting around and asking many different people, the most common suggestion was that you can do anything with Adjustable dumbbells Review over fixed traditional dumbbells. So from there, I began looking for a good set of adjustable dumbbells which led me to come acrossPowerBlock Adjustable dumbbellsdue to its reputation, durability, function and quality. I came across the PowerBlock adjustable dumbbells which I found quite reasonable regarding quality, space, money and durability than Bowflex SelectTech Dumbbells or any other traditional dumbbells. 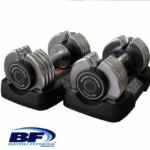 With the PowerBlock dumbbells you are given a chance to do everything which you can do with regular traditional dumbbells other than slamming on the ground. Use of selector pin is given on Powerblock dumbbells to change weight.Dumbbells are usually expensive, so people only purchase the ones having 5lbs. increment. With an increment of five pounds you are able to vary the weight and also you can switch to 2.5lbs. increment by just opening the handle and placing an included silver cylinder in the handle. This is a great feature for someone who work out with more movement than just increasing up the weight with a huge increment. PowerBlock dumbbells show greater longevity, you can use them on concrete, in the rain, on mud, dirt and every other surface which you think can withstand that type of mishandling. Yeah its true it’s a type of equipment in which things can go wrong but from an interchangeable thing this stuff isn’t really expected. These dumbbells come with a ten-yearwarranty meaning the company is standing with its product and telling you that these dumbbells are capable of giving you durability. 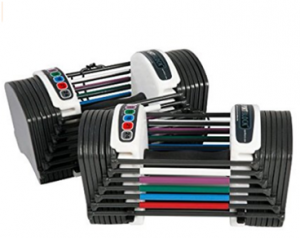 The design of the PowerBlock Dumbbells is not really traditional. Even though people doesn’t even recognize at the first lookwhat really these things are. Their shape is like a rectangle enclosed in a box which some people are really going to love. It doesn’t affect the forms of your exercise due to its shape infact it looks awesome in hands and makes things easier. The compact is also helpful for some exercises like bicep curls and as you increase the weight the smaller size provides you good set of motion and momentum. 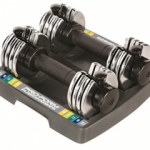 PowerBlock Dumbbells show greater durability because of the material which is used inside the rectangular box which makes people to use them for years without a break or a need of repair. This is the reason why the re-selling of PowerBlock dumbbells isso good even if they are several years old they still look new and fresh. You can even go through Craigslist to check out its price rating. 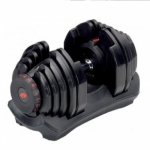 Even after all such factors, dropping themunusually still isn’t the advice because inside it there are some parts which are made up of plastic and some have got electric construction which can be disturbed by dropping.​Adjustable Dumbbells Reviews 2018 PowerBlock dumbbells provide you with several cool accessories. Like there is an accessory named KettleBlock from a dumbbell to a kettleball just by swapping the handles. This accessory only works with Urethane U70 and U90. This is why U90 is one of the highest rated Powerblock dumbbells and it also got the highest weight capacity which is up to 125 pounds. Elite 50 set expands from fifty pounds to seventy pounds per hand. Six additional increment are added in fifty pounds set. 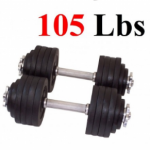 Seventy pounds set has ability to replace twenty two pair of dumbbells. Additional 750 pounds of free weights can be replaced. Manual is given for instructions and troubleshooting steps. Dimension of products are ninety by ten by nine inches. Now the interchangeable dumbbells are not only durable, but can go up as high in weight as you want to go, I don’t know why I still believe that people like traditional dumbbells more. 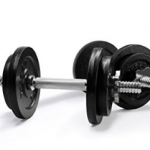 If you’re doing a lot of dumbbell effort and love to throw your dumbbells down, buy just a few fixed handled dumbbells in the weights you see in competitions and use those for sudden effort and the Powerblock’s for other things. Complete and independent storage space. Heaviest model which can expand up to 125lbs. for home use. Have a very compact size. Shows incompatibility in different models. Stand for dumbbell not included. Looks a bit different then natural dumbbells, like there shape. Gives a Non-traditional dumbbell feel.